Generate leads and drive sales with our Live Chat Software. Add Insignia SEO’s live chat module to your website to engage customers and visitors! Designed for all sizes of businesses. Live Chat helps you communicate with multiple customers and leads at once. With our mobile app, chat with your website visitors on the go. Turn unknown website visitors into prospects with pure chat on your website. You can save your time by chatting with numerous prospects at once instead of waiting for e-mail responses or talking to them over the telephone one at a time. Capture customer and prospects query day and night. Never miss an opportunity or a lead or assist a client by transforming your chat box to a website form. Any lost website visitor is a prospect lost sale. Chat boxes can be modified when operators are not accessible. The chat box can be presented in an e-mail form. With Pure Chat you can connect with visitors from your mobile phone with iOS and Android apps. Don’t be attached to your table, capture your prospects and convert them into sales from anywhere. With our scheduling feature, customize your schedule automatically to make the most of your availability. You can set yourself as accessible or inaccessible automatically with our scheduling feature on pre-determined times and days. According to your brand, you can match your chat box by customizing images, animations, your widget colors, and text. Work as a group. Invite your fellow associates to chat with a customer. You might also start a chat with other members of the team. Build personal and trusting relationships by having a record of every discussion. Accumulate records for every chat, read them immediately or e-mail to others. Going through records can help you assert best practices, chances for improvement. A dedicated URL for each individual to connect personally with the visitor for a dedicated personal chat. The contact information, profile image, background, and chat box can be personalized. The performance of each interaction can be tracked. Check on the number of conversations of every fellow associate each day, every week and every thirty days. Also, check rankings for each conversation to recognize top performers. Insignia SEO helps you to track your visitor‘s geo-location and source of reference to involve inappropriate conversations with software similar to Zoho Sales IQ and Zopim. You can also browse the dashboard and concentrate on those visitors who need your help the most. You can even see the visitor’s list in action. You can also receive queries in any language and translate it to your language. But you have to reply to the leads in their language. Make your website live with Live Chat Software. Give us a call or mail us for more information. We will be glad to assist you. 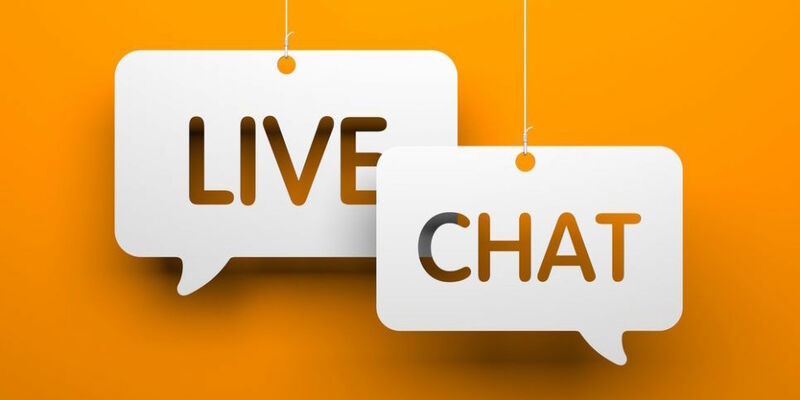 With our live chat services, your site visitors are able to connect with you instantly. We integrate the chat module with several customization options that allow you to pick colors and the image on the chat. We also have the capability of integrating it with a mobile app. This allows you to interact with your guest through your cell phone. Live chat helps businesses quickly respond to customers, increase sales, and create a personal experience for their audience. The flexibility of our live chat services provides a great platform on which you can be responsive and efficient. It allows you to satisfy any questions your site visitors may have instantly. If you want more information on our Live Chat services to feel free to contact us.